Today, I am very happy!! I met me bestie, Victoria Oey Cardenas and guess what?! I am so in love now, do you guys believe love at first sight?! So long didnt't do that way! I missed all those moment where we watch 3-4 movies in a day. The difference is I am not sitting on the couple seat anymore. LOL! I love it so much! Everything is so fine and funny and romantic and sweet! I am going to get DVD for this movie so that I can re-watch it anytime I want. yay! What a great movie I can say! I enjoyed watching it, just that some scene I didn't watch, kinda full with violent. Luckily I am sitting in the middle, yes Vic and Sis Flo surely used to how-I-act-when-Im-scared. haha! Too bad he is too young for me! And, sad that you're Japanese kid. You don't understand what I am saying till I speak Japanese language to you just now. Anyway, I am going to miss you so much. I am? Hahaha :D Really? Clash of the Titan is good too? Wow...I wanna watch. i never watch movies for a long time already.. glad u enjoyed this weekend..
@Tekkaus:Uncle dnt be sad sad thr. haha i bet this month unc still can be the top commenter de! haha. yea very very very very nice! 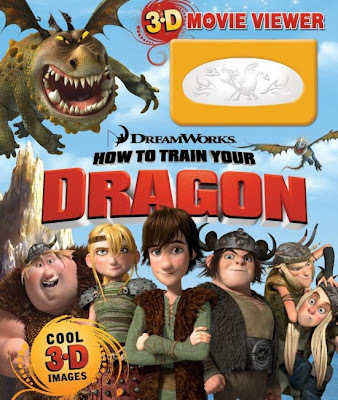 lol How To Train Your Dragon very sweet and romantic cz of kids fell in love. haha! very cute! :P just now i also searched for d DVD but not come out yet. the movie still quite new worr. @Tekkaus - Dat's why lah kan? This fella go n moderate her comment.. we have to wait so kan cheong to see if we are the FC! lol.. :P definitely no FC for me today! wah, so nice watch two movies back to back in a day.. i think i've never done that before lor..
and i've not watched either of the two movies yet.. am planning to watch them maybe in the coming weekends..
Yalor, she moderates her comments. Haha :D never mind I will try again next post. Caroline> Yea... me also still have few movies that I want to watch.. hehe We set a date la when are we free to go out watch movies together..